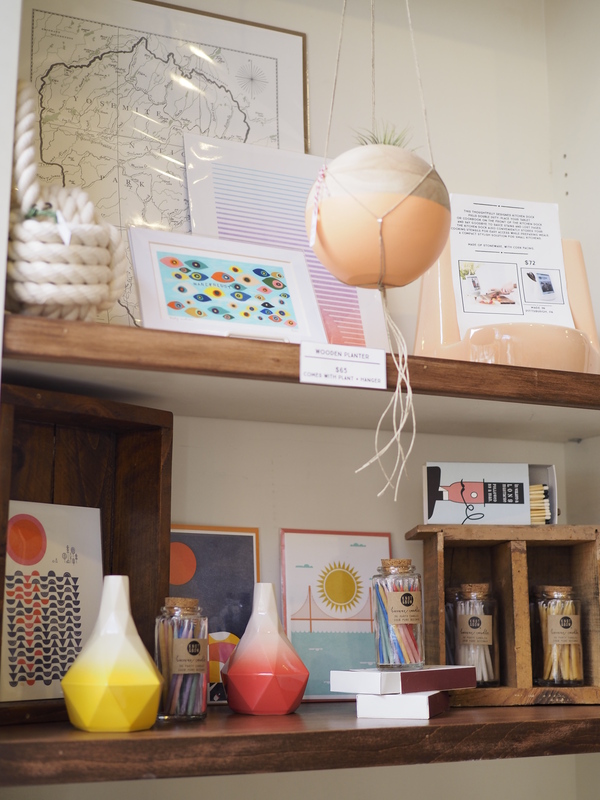 Cute Shop: Marion & Rose's Workshop, Oakland — Oh Wonderful! When people shake their heads and say, “Isn’t Oakland, like, really dangerous?” I’m at the point where I do a huge eye roll, walk away, and cut all ties with them. I’m totally kidding. Truth be told, I was once one of those people back when I was a fresh Bay Area transplant and OC ex-pat. Those who shake their heads at Oakland should stop. Right now! Oakland has and is going through a remarkable renaissance and redevelopment phase, especially when it comes to food and small businesses. 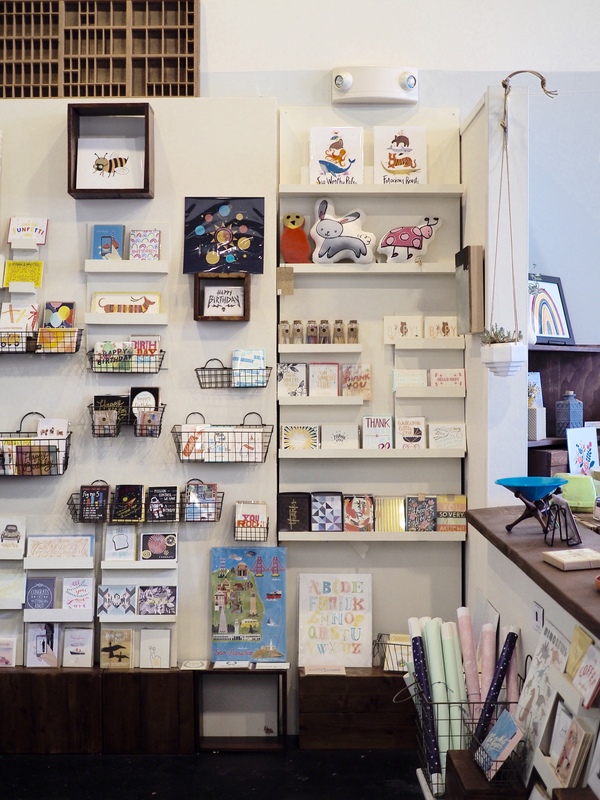 This week’s Cute Shop is about Marion & Rose’s Workshop, a small store located right off of bustling Broadway Avenue in the historic Old Oakland district. 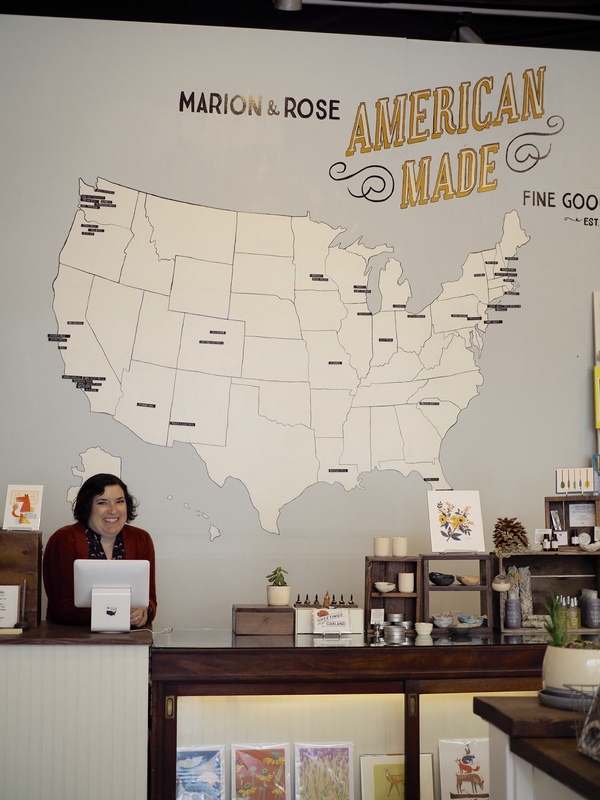 Four years ago, Kerri Johnson opened Marion & Rose, following years of running Blank Space gallery, whose home was also in Oakland. 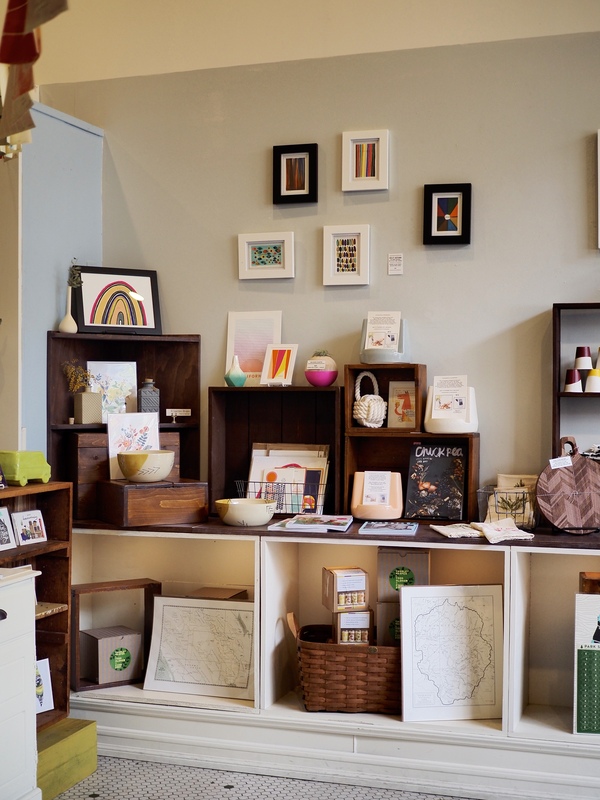 After years of running the gallery and hosting revolving pop-ups, Johnson thought it was time to open a brick and mortar store to serve as home to the burgeoning maker movement that was continuing to develop. Serendipitously enough, the building owner for their current shop was offering six months of free rent to attract new tenants to the then quiet section of Oakland in exchange for cultivating the neighborhood into a more bustling locale for residents and visitors. 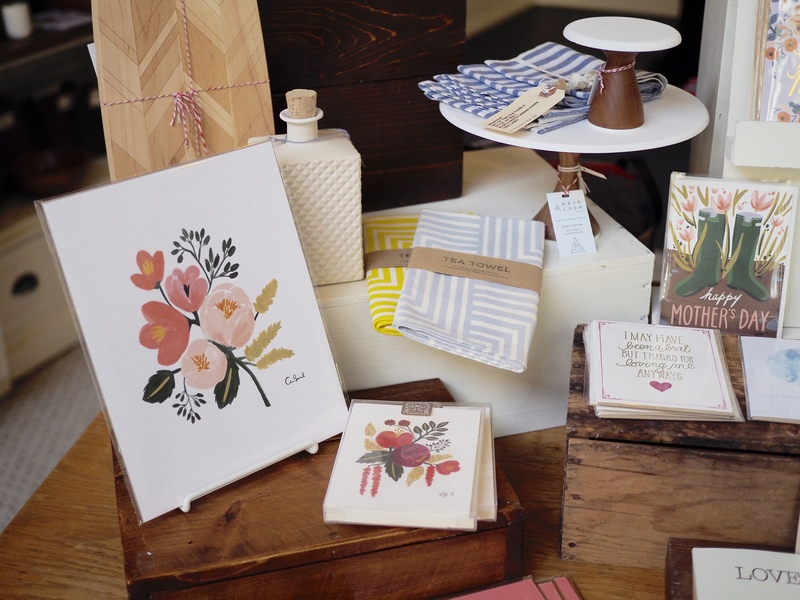 Everything in the store is American made, and most often, by small businesses scattered throughout the country.The United States mural that’s painted behind the counter also serves as a showcase for where some of the artists are based out of. Growing up in a family and within a community of union workers, Johnson saw neighbors and family members lose their jobs as manufacturing was outsourced to other parts of the world. 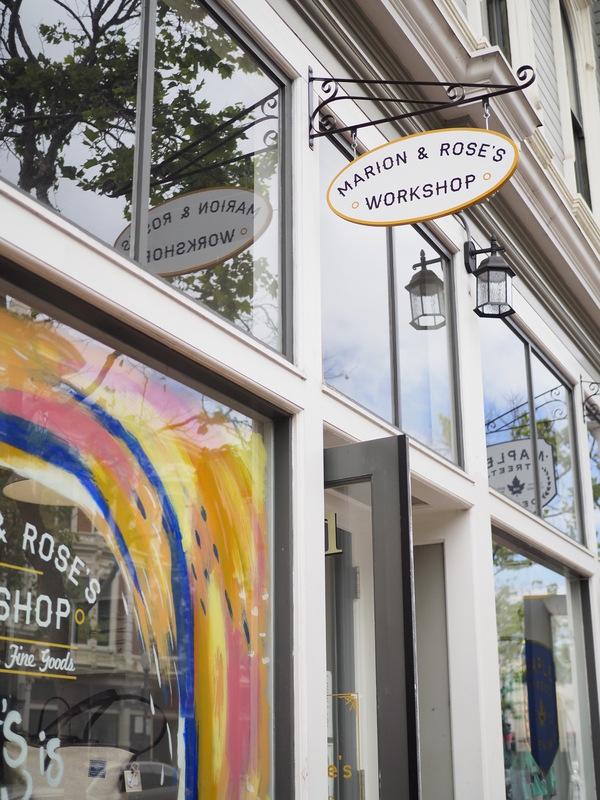 Opening Marion & Rose was a way for Johnson to bring back small manufacturing and support the community that she was surrounded by here in California. 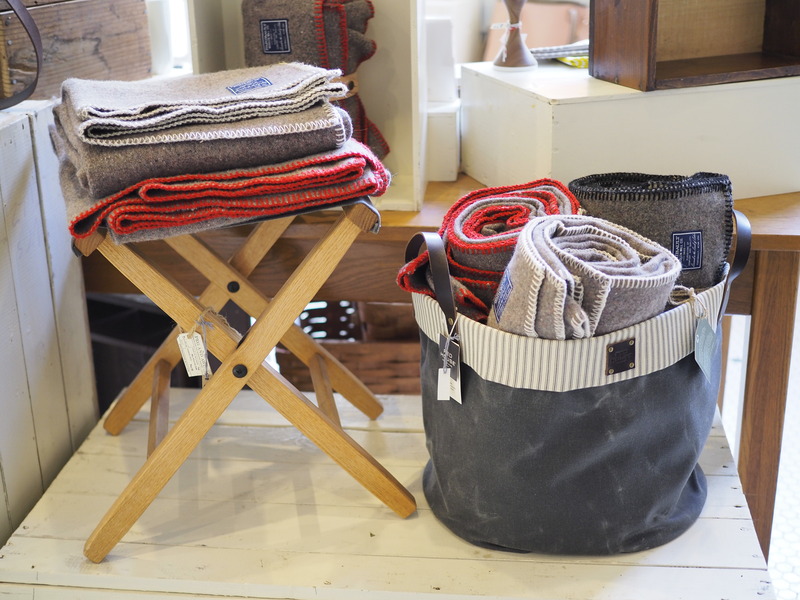 Johnson specializes in what I have dubbed (in my mind), thoughtful shopping. 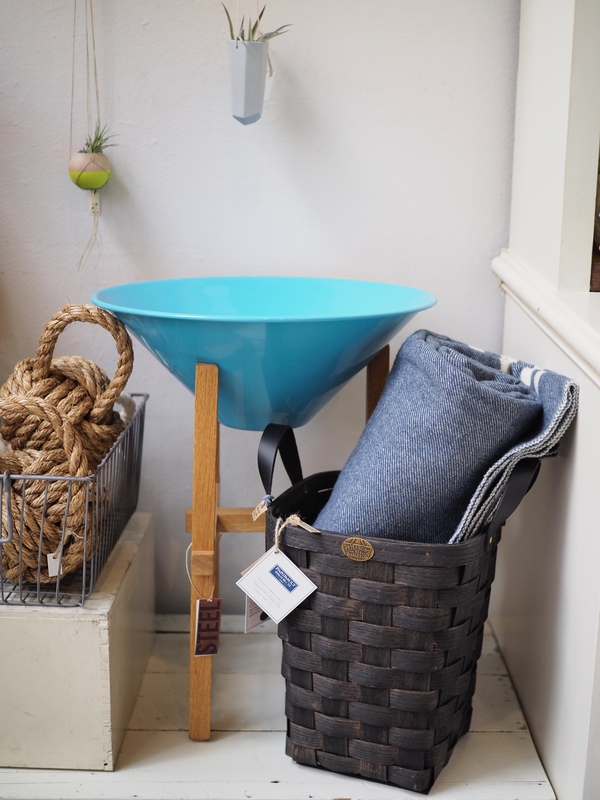 Even if the price point’s higher, it’s about investing in goods that are well-made, in small batches and made in America by artisans and curators who are passionate about what they do, rather than immersing themselves in something they despise doing just to make a buck. 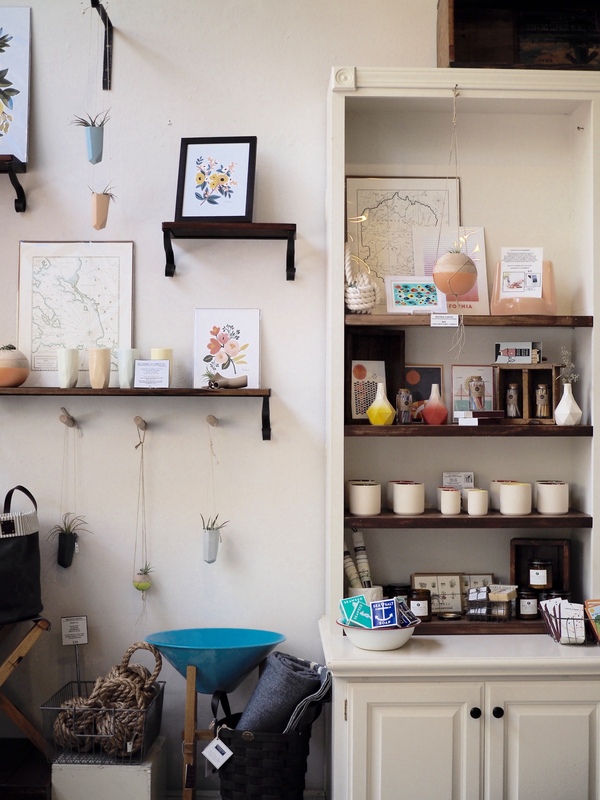 When you walk into her store, you know that you’ll be able to find something made by someone who loves what they do, gave thought to what they made, and probably worked really hard to make impeccable. For Marion & Rose, the quality over quantity mantra rings insanely true. 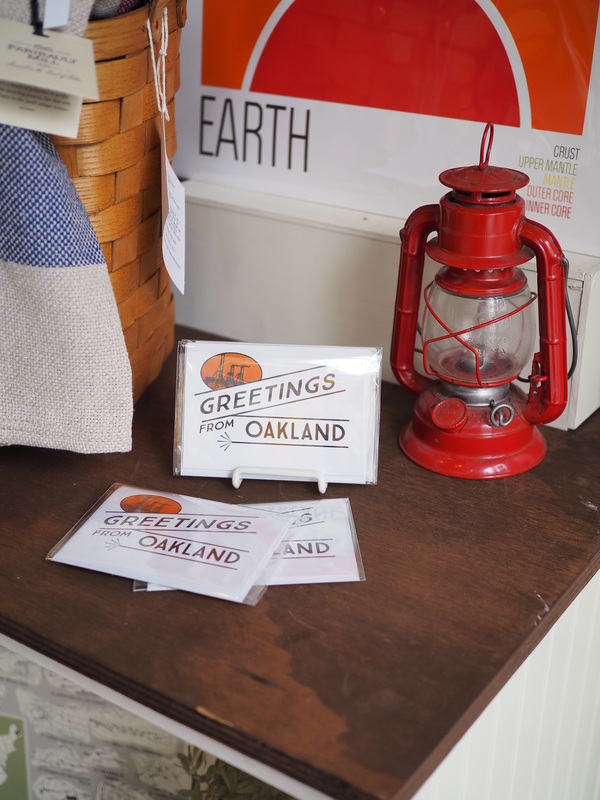 Since the store opened, a beautiful community in the Old Oakland part of town has been cultivated and bred. 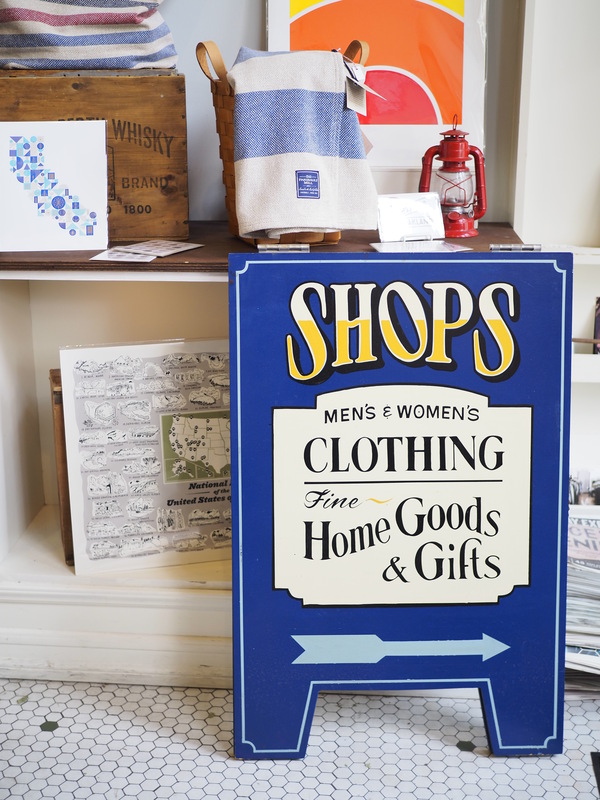 As fellow store owners walk by outside the shop, Kerri waves and notes that it makes her happy to have such strong relationships with her neighbors. Right by the front entrance of the shop are flyers promoting other stores in the neighborhood. Johnson also chats about how she’s often introducing and trading brands to other shop owners in Oakland. Staying true to her gallery roots, Marion & Rose will be hosting artist Michael McConnell on Thursday, May 12th from 5:30-8:30 p.m. 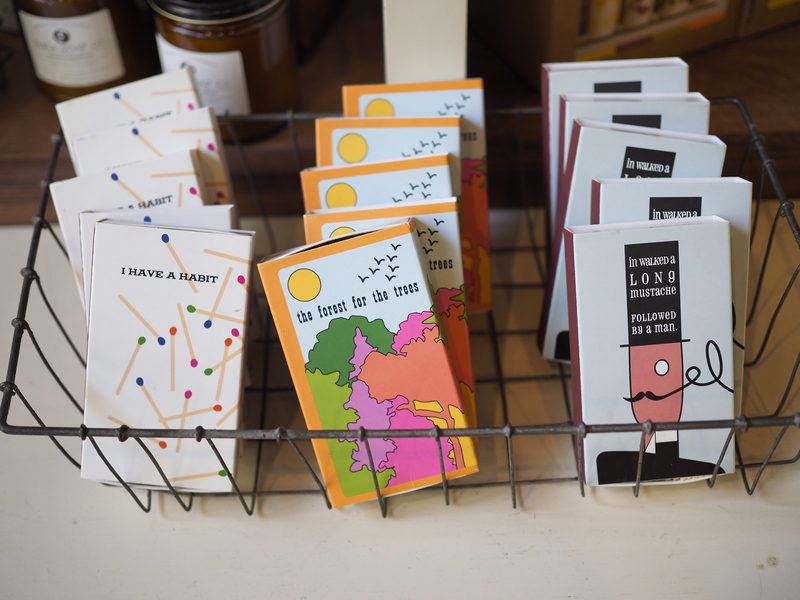 If you’re in the hood, maybe plan out a dinner at Swan’s Market, then a stop at Marion & Rose for some cool art by McConnell and quality, American made goods in this character-rich neighborhood of Oakland. 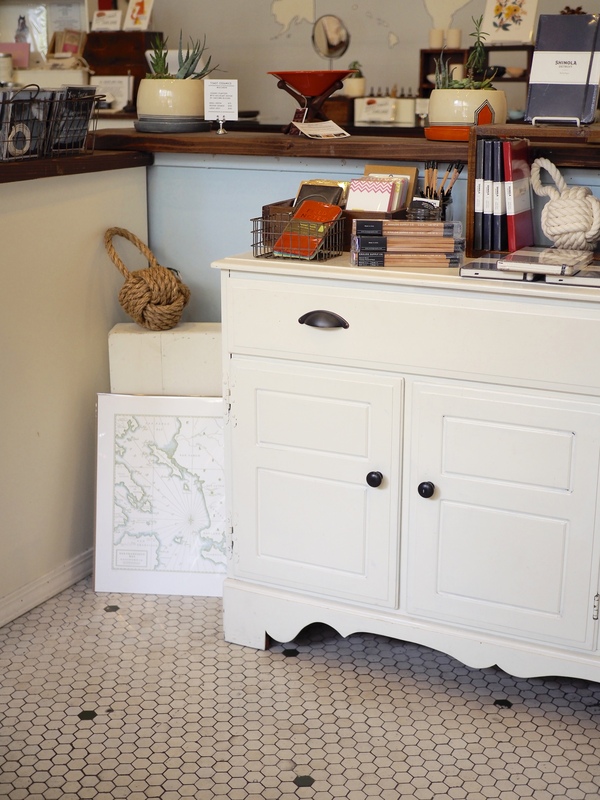 Pingback: Cute Shop: Maple Street Denim, Oakland – Oh Wonderful!